A mix of real peacock feathers flutter in the breeze on the ends of this braided, faux leather polyester, head wrap. 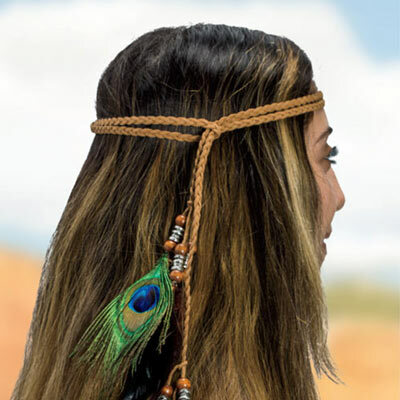 Headband style, with boho chic flair, this Sedona Headwrap features both wood and silver-tone metal beads. Imported. Approx. 72"l.